The tamarugo (Prosopis tamarugo F. Phil.) is a deciduous legume tree growing up to 18 m high, with a crown ranging from 15 m to 20 m in diameter. Its root system consists of a deep taproot (down to 6 m) with lateral roots (down to 1.5 m). Leaves are bipinnate with 10-15 pairs of 5 mm long leaflets. Spike-like inflorescences bear golden yellow flowers. Fruits are peanut-shaped pods borne in clusters, 2 to 4 cm long. They contain an edible pulp and ovate seeds (3-4.3 mm long) (Orwa et al., 2009). The tamarugo is native to Chile (part of the Atacama desert is known as Pampa del Tamarugal) (Duke, 1983). It is also found in Argentina and was introduced into India and other saline deserts of the world. It can grow up to an altitude of 1500 m. It thrives on salty sandy soils or clay loamy soils with a salt encrustation to a depth of 60 cm. It prefers the normal desert climate: high day temperatures, a large day-to-night temperature range, almost total lack of rainfall and intense sunlight. Tamarugo can withstand 10 to 12 months of drought (Ecocrop, 2009). Trees begin to be productive after 6-7 years and have a very long productive life. Tree productivity is reported to be 160 kg of pods, leaves and small twigs per year (Ecocrop, 2009). The carrying capacity of tamarugo depends on forest age: no grazing should be allowed before 6 years, a 10-year-old forest can support 1 sheep/ha and a 16-year-old forest can support 16 sheep/ha (Cadahia, 1970). A 13.7 sheep/ha capacity is reported for a 13.5 m x 13.5 m tree spacing (Elgueta et al., 1971), while other sources suggest stocking rates from 1.5 sheep/ha (BOLDIS, 1990) to 26 sheep/ha (Orwa et al., 2009). At the beginning of the 20th century, the tamarugo was almost extinct (Carvallo et al., 1983) when a forest inspector noticed its ecological interest and created tamarugo plantations in the Pampa del Tamarugal. 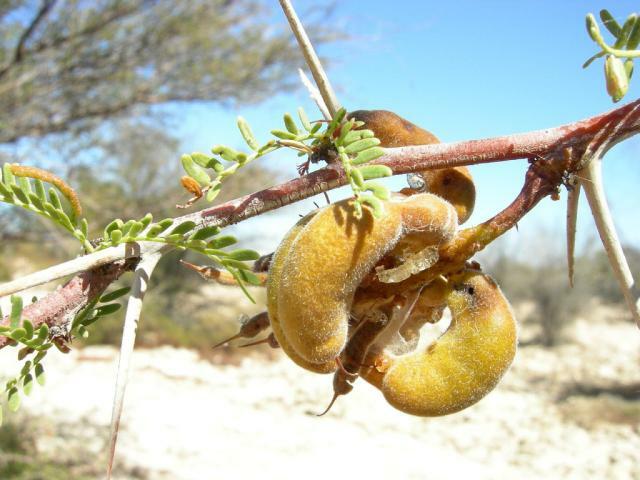 Since then, the tamarugo has been used to afforest saline deserts and has increased the overall productivity of the Tamarugal (Orwa et al., 2009). 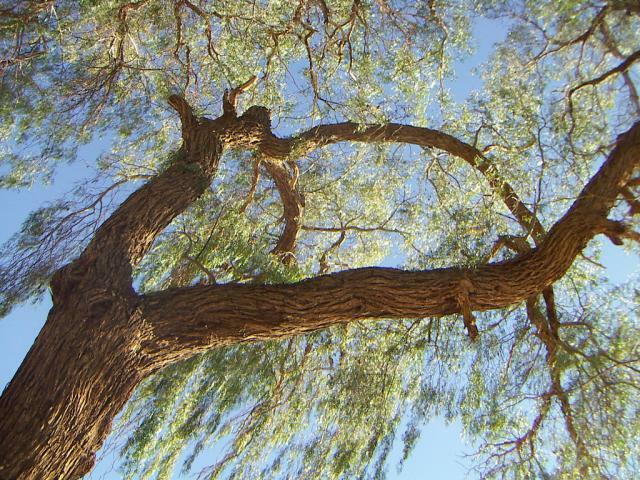 The tree absorbs air moisture through its leaves and dispatches the collected water to its roots and to the surrounding soil (Habit et al., 1981), thus participating in the protection of soil water reserves. It is also a windbreaker and protects animals and people from the sun (FAO, 2009). Fruits and leaves are palatable to sheep, goats and cattle (Göhl, 1982). 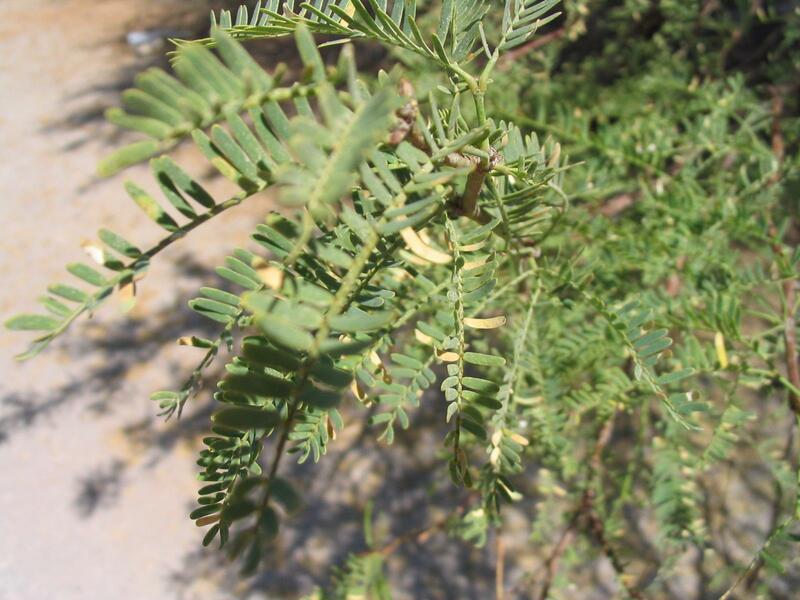 In the desert conditions of the Pampa del Tamarugal in Northern Chile, sheep, goats and cattle are fed with the leaves and pods of planted and natural stands of Prosopis tamarugo and Prosopis chilensis. This forage alone cannot support growth or reproduction and needs supplementation with protein and energy feeds such as alfafa hay and wheat bran (Zelada, 1986). In cattle, feeding tamarugo may result in a loss of appetite due to mineral deficiency. Supplementation with vitamins A, D and E is required in calves and pregnant animals (Zelada, 1986). Tamarugo can support maintenance requirements of sheep under free grazing, in spite of a low dry matter digestibility (50%). Mineral (Co, Fe, Ca, Mg, P) and vitamin A supplementation is required (Göhl, 1982). Sheep prefer fruits to leaves (FAO, 2009). Free grazing leads to better production results (Lanino, 1966 cited by Habit et al., 1981).